Butte Sand and Gravel’s ¾” Class II Aggregate Base is the material that made “Butte Rock” famous. 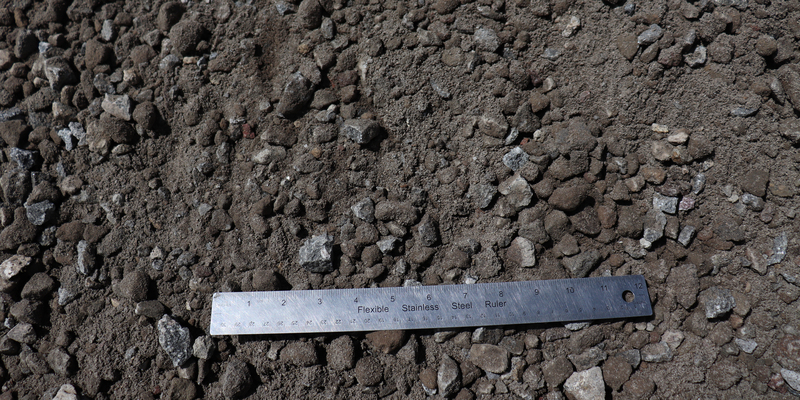 It is a well-graded blend of rock, sand and fines that, when compacted and graded properly, sets up extremely hard. Original customers of Joe Morehead Sr. called it “concrete-like”. It provides an excellent base for roads, driveways, pathways, concrete, or pavers. Butte Sand’s Aggregate Base meets the specifications for Caltrans Section 26 Base. The material is gray in color.